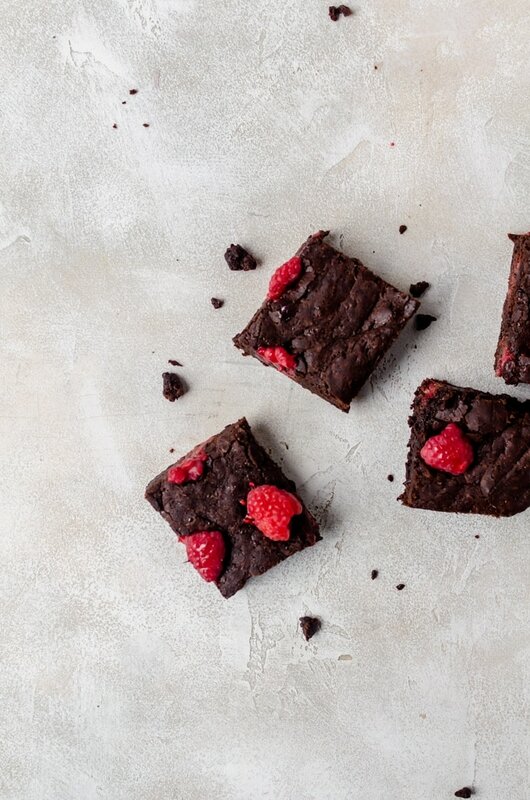 Fudgy raspberry brownies that are irresistibly chewy with bursts of raspberry in every bite. Guaranteed to become your new favorite brownie. It’s been a while since I’ve had a batch of these raspberry brownies and I needed to have some in my life asap. 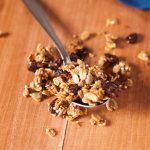 While I was at it, I decided I may as well revamp the recipe I had on the site so you can see better pictures and the slight improvements I made to the recipe. In the past I’ve made the recipe using broken pieces of frozen raspberries inside the brownies. This time, I wanted to test the recipe using fresh raspberries. The verdict? 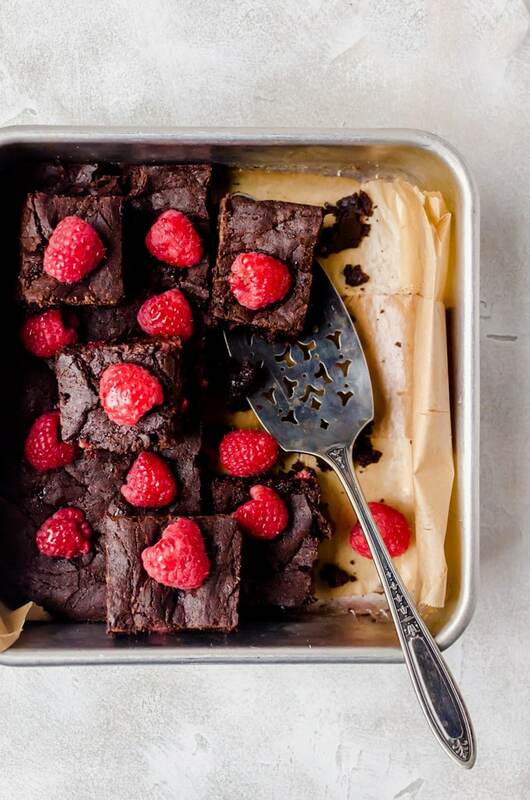 They are both amazing, but I recommend still cutting up the fresh raspberries into smaller pieces so that the fresh raspberries don’t sink to the bottom and make it hard to pick up your brownie slices. I also tested a theory with how to mix your brownies in the past, I only just mixed the brownie batter so the flour was mixed in. This time, I gave it a more vigorous mix. This is to activate the gluten and is supposed to give the raspberry brownies more chew. I absolutely love this method and it works amazingly well. I will definitely be adding this note to my chewy brownies recipe. 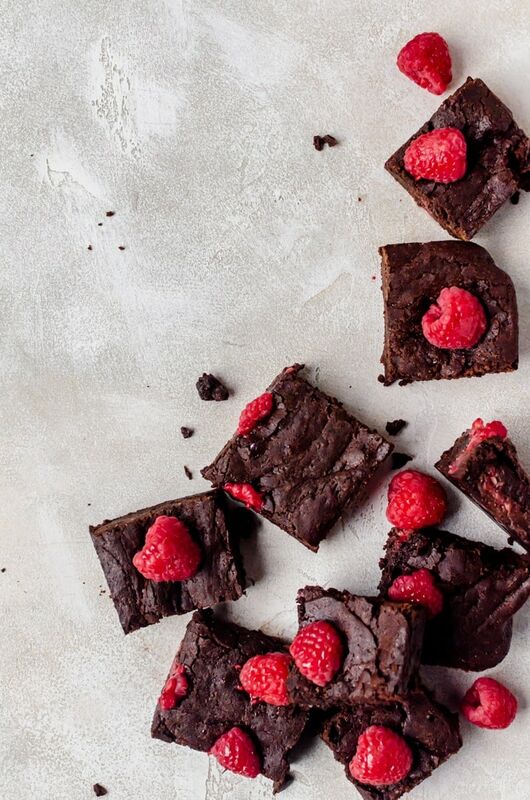 These raspberry brownies would make the perfect Valentines’ Day dessert for anyone who loves berries and chocolate (and who doesn’t love that combination?). 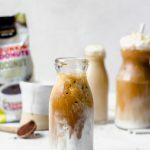 Top it with a heaping scoop of ice cream for an even more amazing treat. With extra chocolate sauce and raspberries on top of course! If you really want to get decadent, you can cut them in squares to make a parfait or to blend into a milkshake. You really can’t go wrong! Fudgy, chewy raspberry brownies with a deep chocolate flavor. Preheat the oven to 350 degrees F. Line an 8x8 inch baking pan with parchment paper, with some overhang to act as a sling. In a small bowl, mix the flour, cocoa powder, and salt together. Set aside. In a double boiler, add the butter and chocolate together. Heat until both are melted, mixing well. Stir in the sugar and beat well. Beat the eggs in vigorously, one at a time. Whisk in the extracts, then add the flour mixture and mix well for about a minute. Fold in the frozen raspberries. Pour into the baking pan and top with the fresh raspberries. Bake for about 35 - 40 minutes, or until the center is no longer jiggly. Due to the fudginess of the brownies, the toothpick test may not work. Allow to cool in the pan for at least 15 minutes before removing and allowing to cool completely on a wire rack. I must tell her that you like her name. She isn’t too fond of it! 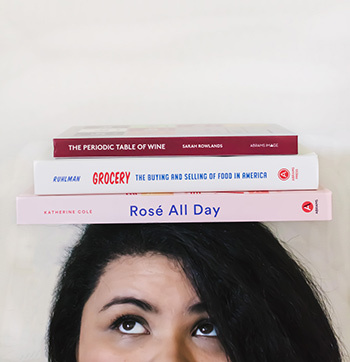 If we are going by the type of wine we like the most, I would be the Mischief Maker as well, but Merlot is my favorite and they don’t have one yet…. which is why I guess I’m the older sister haha!! Love the name of these wines! They are adorable and make a perfect gift! I think this is an excellent way to celebrate your sister. 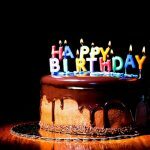 Who wouldn’t want these delicious brownies and some wine on their birthday? You know what? I was always a little afraid to buy this wine because I wasn’t a middle sister, but the pinot noir is just too good. Plus with the new packaging, I do agree they make excellent gifts! 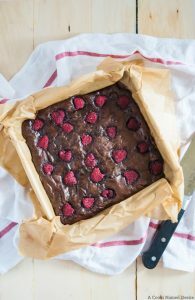 These look heavenly and I love the raspberries studding the brownies 🙂 Pinning! This look absolutely sinful. Love them! And love the wine pairing!